Happy New Year! I hope you all had wonderful Christmases and have lots of fun (crafty) plans ahead for 2013. Sean, the monsters and I have a relaxed night with neighbours planned, then New Year’s Day I plan to stay in my pjs all day, playing games, eating, sewing and maybe a bit of online sales shopping too. Now I know I didn’t get you anything for Christmas (sorry about that!) so I thought instead I’d give you a little gift for the new year. How about 13% off everything in my Etsy Shop, that includes custom orders. All you need to do is visit my shop as normal and at the checkout use the code NEWYEAR13. If you like something in my shop but would prefer it in a different print or colourway please contact me either on Etsy, here, twitter or Facebook and the order will still receive the discount. The code will be valid until January 13th 2013. Morning, it is Saturday morning here, I’m laying on the sofa in my pjs while the monsters eat there breakfast writing this on iPad. 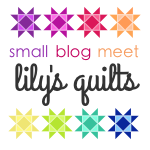 I like to catch up on my blog reads on a Sunday morning and today is no different, one of the first blogs that popped onto my screen was the lovely Lily’s Quilts. 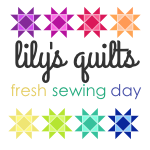 On the 1st of the month Lynne does a great link up post called Fresh Sewing Day, where she tells us all of the projects she has managed to finish for the month and allows readers to link up theirs too. Well I do like a link up it’s such a great way to find new, interesting blogs to read and hopefully make some new bloggy friends too! I also really like the idea of a monthly round up, I don’t know about you but I am a list writer, you can’t beat looking at a list of all the things you need to get done and it’s covered in ticks because you’ve managed to do it. I feel like Lynnes post is like a pretty list all covered in ticks and I like it! Here is my ticked list, it’s not a long as I would have liked but we have been away and I’ve been busy getting Monster no1 ready for school Aarghhhhh! Custom order Bandana Bib and Burp Cloth Baby Bundle, Country Garden Quilt, Go Fetch! quilt, Custom Order Phone Case. Hopefully Septembers list will have more ticks, I’ve got no excuse as I will only have Monster no2 at home once Monster no1 starts big school. As its a round up blog I thought I would also bore you with my Photo A Day photos, as new projects go I was quite pleased, I really enjoyed it and only missed two days. I’ve enjoyed doing this so much I’m going to carry on with it, here’s Septembers list for any of you who feel the same. You can find all the rules (there aren’t that many), instructions and the list (I do love a list!) over on Fat Mum Slims blog, she’s the mastermind behind this fun photography project. The basics are, save the list somewhere, each day you take a photo about the word for that day then share it on Twitter/Flickr/Instagram or anywhere else you want to show it off. It’s a great little reminder of what you have been up to and I find it fun to do.